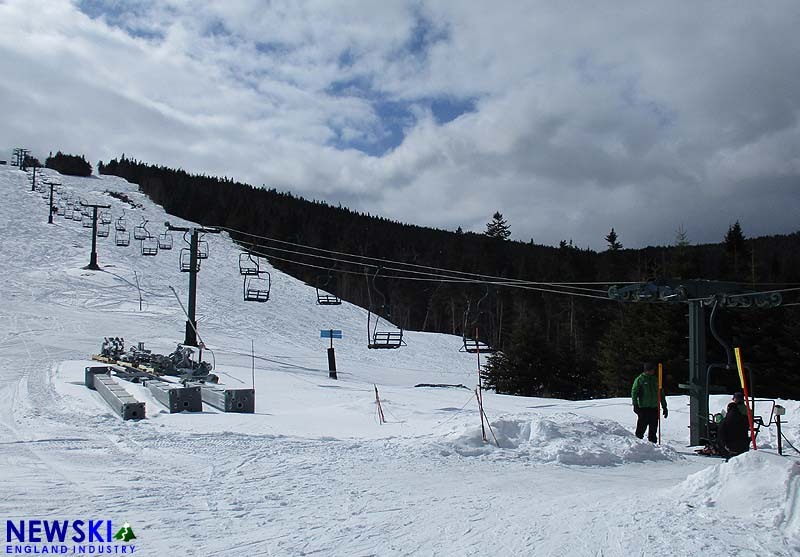 After 51 years of service, Waterville Valley's High Country double chairlift carried its last skier today at 3:30. 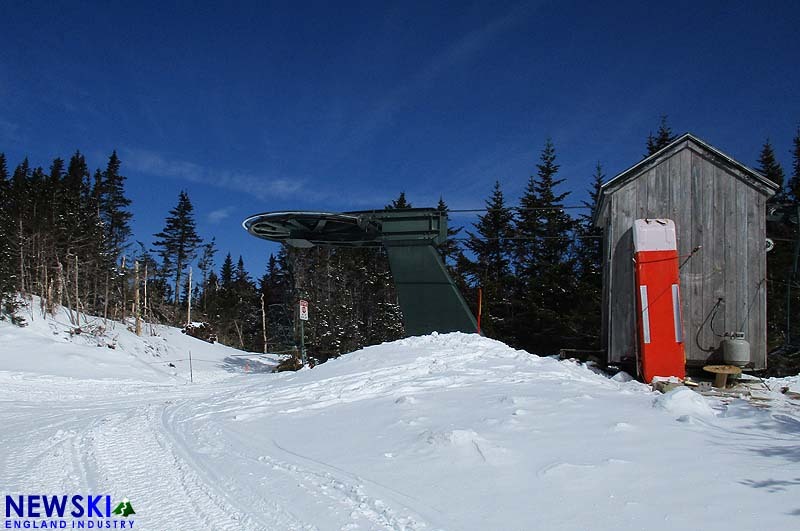 The original Stadeli chairlift will soon be disassembled, while work continues on its T-Bar replacement. 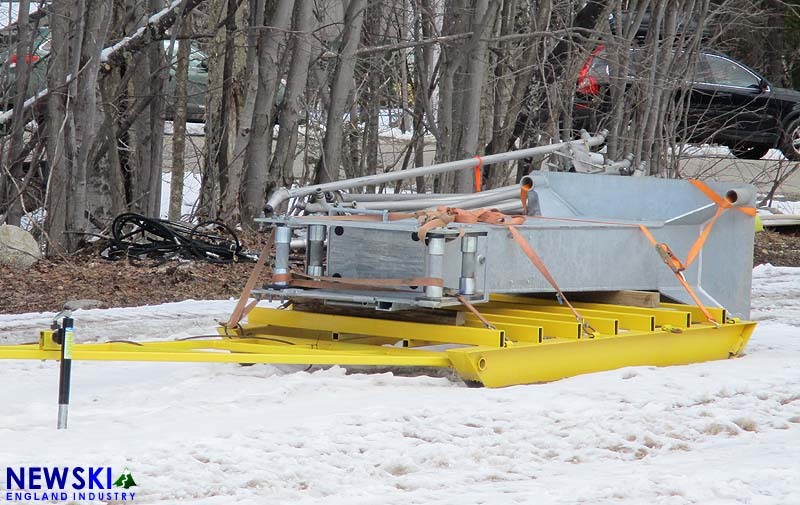 LST equipment has been hauled to the High Country this month and a terminal pedestal is being staged for upcoming transport. Concrete footings were poured in the fall of 2017. 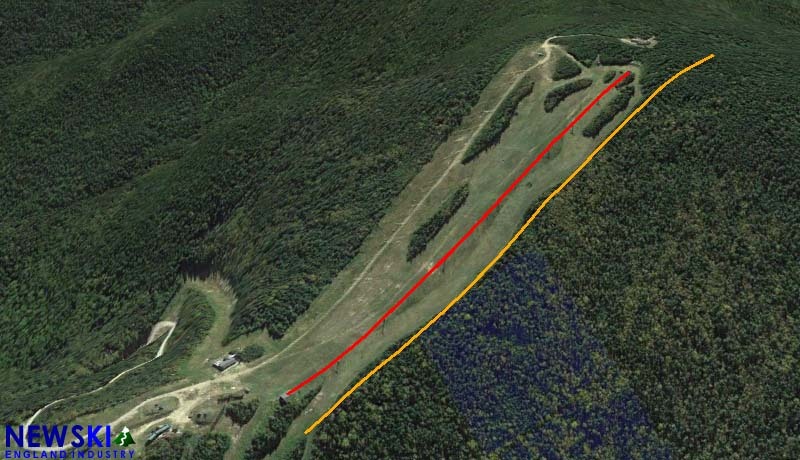 The new T-Bar will be 1,670 feet long by 397 vertical feet, slightly increasing the top elevation of the ski area. 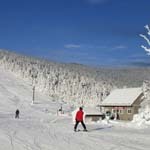 The new lift is expected to run at 688 feet per minute, making it significantly faster than the vintage double chairlift.